If you're looking at this post right now, you're likely either reading it off of your phone or you're hunched over a desk staring at a glowing, white screen we all fondly call the computer. Nothing wrong with this (obviously, look who's talking)...but there's something so special about disconnecting, putting pen to paper, and writing a handwritten letter to someone you care about. Every letter needs a vehicle. Pretty, personal, lovely vehicles. You know...paper! 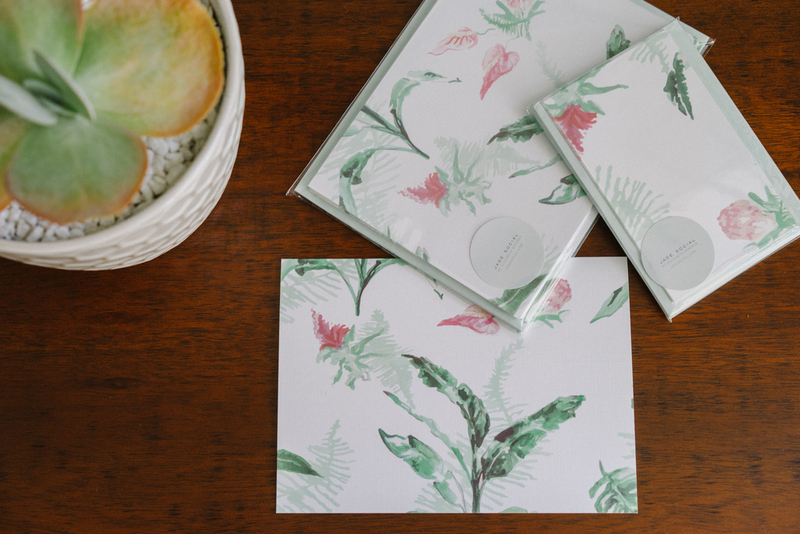 So today, in partnership with my very talented friend Liz Bergren, Founder & Designer of Jade Social, I'm giving away stationary from her Naples Collection. These cards were inspired by all the designs she created for our wedding (see here). Hopefully you'll be inspired to write a letter to someone you're thinking about too. Sign up for my weekly newsletter and a chance to win!